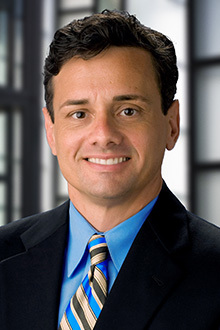 David Oubre is the managing partner in the Houston office of Lewis Brisbois and a member of the General Liability and Transportation Practices. He handles cases throughout the state of Texas. Mr. Oubre has an active litigation practice. Over the course of his 25-year career, he has tried 101 jury cases to verdict. These trials have involved amounts in controversy from as little as $10,000, to in excess of $40,000,000. He has handled a wide variety of claims involving personal injury defense including refinery accidents, crane collapses, oil rig collapses, 18-wheeler accidents, construction accidents, bus accidents, premises claims for individuals and businesses, automobile liability and underinsured/uninsured motorist claims. In 2012, one of Mr. Oubre’s trials was featured by Verdict Search as a national verdict of the month. Mr. Oubre routinely handles a variety of professional liability matters. He has successfully defended claims against attorneys in negligence and breach of fiduciary duty matters, and has also successfully defended insurance agents and brokers in cases involving negligence, breach of contract, and misrepresentation with respect to the procurement of various insurance products. He has also represented real estate agents and engineers in E&O actions.